Today's Spooktacular Spotlight Author is Tricia Drammeh! 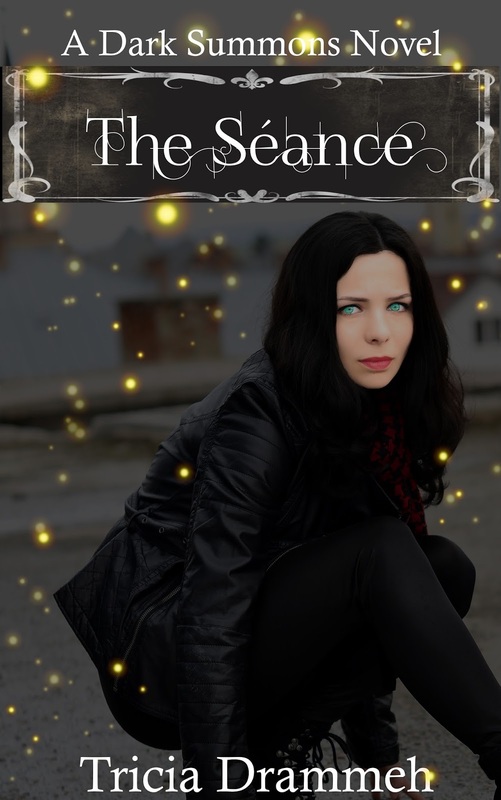 She brings with her today a wonderful Young Adult Paranormal Romance called The Seance! 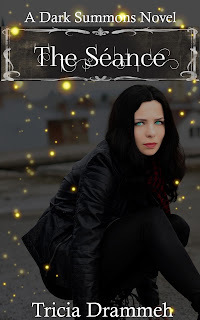 The Séance, a Dark Summons Novel, is a full-length Paranormal book for teens and young adults. Join Abby as she navigates the complexities of ninth grade, tackles the supernatural, and even finds a bit of romance along the way. The room felt closed-up and stuffy. Was it okay to open a window during a séance, or would that disturb the spirits? I decided to ignore my own discomfort and proceed. My hands were beginning to sweat, increasing my sense of self-consciousness. Martha’s eyes were wide with expectation. Yasin’s head was tipped slightly to the side, his mouth slack. He was skeptical, but I planned to change his preconceived notions about the paranormal. Before the end of the séance, he’d realize I was right all along. “What if more than one shows up?” Martha whispered. I shook my head at her and frowned. “Shhh. Concentrate on our greater purpose.” As the Medium, it was up to me to take control of the séance. A sputter erupted from Yasin. I shot him a sharp glance. His eyebrows rose and he cleared his throat. Laughter twinkled in his dark eyes. I tugged my hand from his tight grip. Martha moved her hands from mine and Yasin’s, and folded them in her lap until I motioned toward the Ouija board. I placed one finger on the planchette, the guitar pick shaped pointer. Yasin and Martha followed my example. “Don’t push it. Just rest your fingers and wait.” The only sound in the room was our soft breathing. I couldn’t remember the séance instructions I’d read. Was I supposed to speak again, or just wait for the spirits? What if the spirits were too far away when I made the initial summon? I figured it wouldn’t hurt to call them again. “Oh, spirits…” A deep rumbling shook the floor next to me. A hoarse cry escaped Martha’s throat as she hurled herself away from the Ouija board. With a deep sigh, Yasin closed his eyes in an act of surrender. I did the same and focused on the task at hand. This time, I felt my consciousness drift. I was aware of air filling and escaping my lungs in a slow rhythm. My body relaxed, but the index finger fixed to the planchette began to tingle. I concentrated on the feeling in my finger as it traveled up my arm and spread across my body. With these last words—words I must’ve memorized from somewhere, words I didn’t completely understand the meaning of (what the heck does ‘convey’ mean? )—a cold draft raised goose bumps across my bare forearms. I shivered involuntarily and opened my eyes. My gaze swept the dark room. The candles on my dresser went out, while yellow flames leapt wildly from the candles on my desk on the other side of the room. My arms jerked forward as my finger, seemingly glued to the planchette, moved to the letter D. My heart was beating so hard my ribs felt like they were going to crack. Foggy puffs escaped my lips with each gasping breath. It was so cold, my teeth began to chatter. My arm jerked again. This time, the planchette settled on the letter I. Martha whimpered softly beside me. Before I could turn to reassure her that everything was okay (which it clearly wasn’t) the planchette pulled our captive fingers to the letter E.
“Oh my God,” Martha whispered. Panic consumed me. I tried to yank my hand away, but it was glued to the planchette. Something painful gripped my wrists. “Stop it,” I screamed. With my next frantic pull, my finger jerked free and I fell back, landing on one elbow. Thoughts darted around in my brain as I desperately searched for information. Surely there was something I’d read that talked about how to deal with evil or unwanted entities. What sort of entity had we summoned? How could I have lost control over the séance? Hi, and thank you so much for having me. I’m a wife, mom, part-time accounts payable clerk, and book lover. I live in the St Louis area with my husband, kids, and two cats. I don’t really have any quirks or bizarre writing rituals. Writing has just become an extension of my usual craziness. When I’m trying to work out a plot point, I’ve been known to talk out loud to my characters when I’m alone in the car. Okay, so I guess that’s pretty quirky. I always thought it would be neat to be a writer, but thinking about it and actually doing it are two entirely different things. Most authors say they’ve been writing since they could pick up a pen, but I didn’t sit down to write a novel until I was in my late thirties. The inspiration came out of the blue. When I started writing, I didn’t think I’d actually finish. I had so little faith in myself, I didn’t tell most of my family I was even writing a book until I finished. I write young adult paranormal and horror. I’ve also written one novel that falls under the mainstream fiction category, but I prefer paranormal. I’ve been inspired by every author I’ve ever read. Every author has something unique to offer. If I had to pick a favorite, I’d have to choose Anne Rice. Though I love other authors nearly as much, I’ve loved Anne the longest. At first, my family thought it was pretty cool, but after the first published novel failed to make me an overnight success, they grew weary of all the time I spend writing. I learned it’s really tough being a writer. There’s so much more than getting your story on paper. There’s revisions, editing, more revisions—and that’s all before you ever begin to think about publication. Writing will bring out your inner perfectionist and you’ll agonize over a sentence for thirty minutes trying to find the best way to phrase something. Everything! The idea for The Séance came to me while I was mopping the kitchen floor. Sometimes it’s a song, or a picture. But, most of the time I’m inspired anytime my mind is able to run wild. First, I would advise aspiring authors to just write. Get the first draft on paper without worrying about editing or perfection. If you’re constantly stopping to self-correct, you’ll lose your momentum. Second, do not sign with a publisher or agent until you do lots and lots of research. Check out the prospective publisher on P&E, Absolute Write, Google, etc. If you get to the point where a contract is involved, don’t sign anything without having an experienced contract lawyer or intellectual property lawyer look it over. 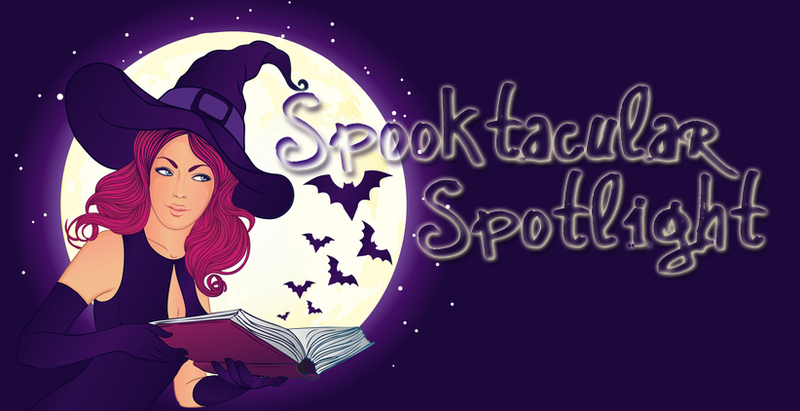 Thank you so much for having me on your blog, Katie!